Is It Safe to Drive a Stroke Patient to The Hospital? Remember, every second counts when a person is having a stroke and the right approach can save someone’s life. Often termed as the brain attack, stroke is a deadly condition in which blood supply to the brain is interrupted. This interruption can result in either clotting in a blood vessel connected to the brain or a burst. The longer the disorder is left untreated, the more damage it can cause to the brain. Thus, reaching the nearest neurology hospital on time becomes imperative. At the first sign of stroke, one should act immediately by calling emergency ambulance number. Men, when compared to women have higher chances of having a stroke, especially those who are above 65. 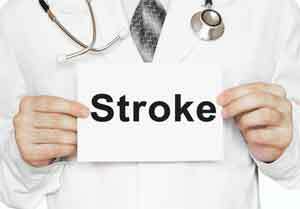 Other conditions that increase the risk of having a stroke include family history, high BP, an existing heart disease and diabetes. Call Ambulance –The first option that might come in one’s mind can be of driving the patient to the hospital. However, driving a stroke patient to the hospital without any medical facilities is not advisable. Firstly, you will lose precious time that could have been utilised by a fully equipped ambulance; secondly, the condition of the patient might worsen. Emergency responders present in the ambulance can start the initial treatment right away. So, be sure of calling for an ambulance, rather than thinking of driving the patient to a neurology hospital. Keep a note of The Time –Keeping a note of the time when someone is showing signs of stroke is as important as driving them to the hospital in an ambulance. If the patient is administered with Alteplase IV r-tPA within 3 to 4 1/2 hours of the first symptom, the chances of full recovery significantly increase. Noting down the time when one sees someone is having a stroke can help the doctors and the staff at the hospital to take the right treatment decision. The right care can make all the difference for a stroke patient. CPR–Though CPR is not required in most stroke cases. On the other hand, in cases where neither you nor the patient gets to know about the stroke, and found in an unconscious state without any pulse or signs of breath, CPR becomes the right choice. Call the ambulance immediately and start CPR. Remember, damage caused by stroke is irreversible, and even one small mistake can lead to permanent disability. However, rehabilitation can help the patient to cope up with the problems after a stroke, but the damages cannot be repaired. So, if you encounter any such situation, make sure you NEVER drive the patient to the hospital.When promptly managed, many lives can be saved while reducing the long-term effects caused by this condition. The author, Dr. Manoj Khanal is a Consultant Neurologist.